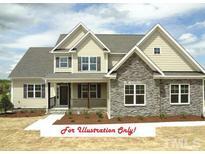 Below you can view all the homes for sale in the Savannah Oaks subdivision located in Knightdale North Carolina. 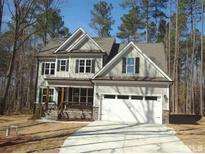 Listings in Savannah Oaks are updated daily from data we receive from the Raleigh multiple listing service. To learn more about any of these homes or to receive custom notifications when a new property is listed for sale in Savannah Oaks, give us a call at 919-759-5754. Hardwood Floors thru Main Living! Screened Porch! MLS#2237129. 1128. FamRoom: w/Hardwood Floor, Cstm Srrnd GasLog Fireplace w/Mantle & Two French Doors to Scrnd Porch w/Cathedral Ceiling! Huge Bonus Room! MLS#2234873. 1128. Family Room: Custom Surround Gas Log Fireplace w/Mantle & Built ins, Triple Window! MLS#2233984. 1128. FamRoom: w/HWD Flooring, Cstm Srrnd GasLog Fireplace w/Blt Ins & Mantle, Quad Wndw! Large Upstairs Bonus Room! MLS#2228215. 1128. Family Room: Coffered Ceiling, Custom Surround Gas Log Fireplace w/Mantle, BuiltIn Bookshelves, Sliding Doors to ScreenPorch! MLS#2214422. 1128. Family Room: Coffered Ceiling, Custom Srrnd Gas Log Fireplace w/Mantle & Double French Doors to Scrnd Porch! MLS#2214293. 1128. Family Room: Coffered Ceiling, Custom Surround Gas Log Fireplace w/Mantle, Sliding Doors to ScreenPorch! MLS#2200515. 1128. Hardwood Floors thru Main Living! Screened Porch! MLS#2196046. 1128. Hardwood Floors thru Main Living! Screened Porch! MLS#2167285. 1128.